There’s nothing easy about being a child. Within only half-a-decade from birth, you’re expected to walk, talk, socialize, behave and conform to the “adult” way of your culture. Nowadays, a conversation about emotion and the nuances of life are rarely shared with children outright; instead, children are expected to just grow and guess how the adults have it figured out (we don’t). This wasn’t always the case though. Several decades ago, a piano composer named Fred Rogers became upset with the way that early television treated its child audience. He was appalled with the silly and slapstick nature of TV shows aimed at younger audiences. So he put aside his goal of being an ordained Presbyterian minister and set out to create a show that would speak to children at their level, with dignity and sincerity, while also displaying authority and wisdom. Every day, Fred Rogers would be “Mister Rogers” to the children of the Pittsburgh area, and then to the rest of the United States. 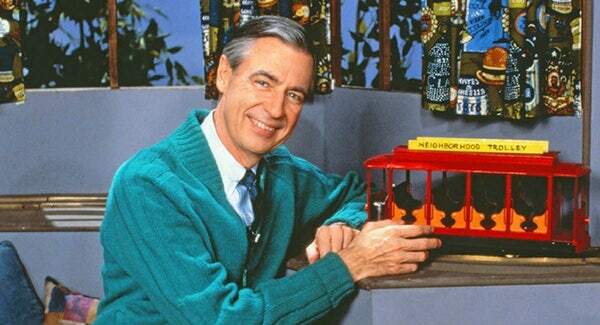 Won’t You be my Neighbor is a very special kind of documentary. It isn’t a biopic on the inner workings of the man Fred Rogers, and it isn’t some history piece detailing Mister Roger’s Neighborhood and the way it came to be renowned in the United States. It’s a barely even a documentary. Really, it’s something far more wholesome. Won’t You be my Neighbor is a celebration of a time long past. It’s a presentation of ideas and ideologies of one genuinely kind man. The film does not go deep into Fred Roger’s personal life, nor does it even try to explain how he came to be the way he was. Instead, director Morgan Neville has created a beautiful retrospective look on the impact of one man’s genuine care of children. Any movie that causes tears from the very beginning through the ending credits tells more than just a story. Though the tears were of joy, there was also sadness because Fred Rogers and his way of teaching children no longer exists in the United States. Mister Rogers’ way of slowing things down is long gone in a world full of quick pop-up ads. Won’t you be my Neighbor is, unsurprisingly, without much conflict. Mister Rogers went through very few scandals, and the ones he did go through ended quickly because he was genuinely such a kind and loving man. After seeing Won’t You Be My Neighbor, viewers will leave the theater not only feeling special, but also pondering how to make the day special for someone else. Won’t You be My Neighbor releases June 15th to select theaters.